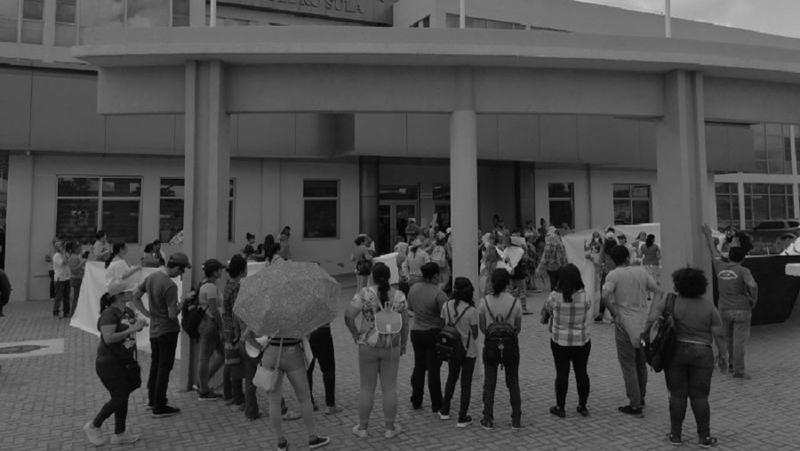 THE FACTS – On Friday morning March 8th, International Women’s Day, women and children demonstrating outside the San Pedro Sula Courthouse were attacked by members of the armed forces. According to the women, two soldiers used force against them to block their access to courtrooms. They attacked them physically, and insulted, intimidated and threatened them with high-calibre weapons. They also grabbed the cell phones of two women who were using them to document the events. 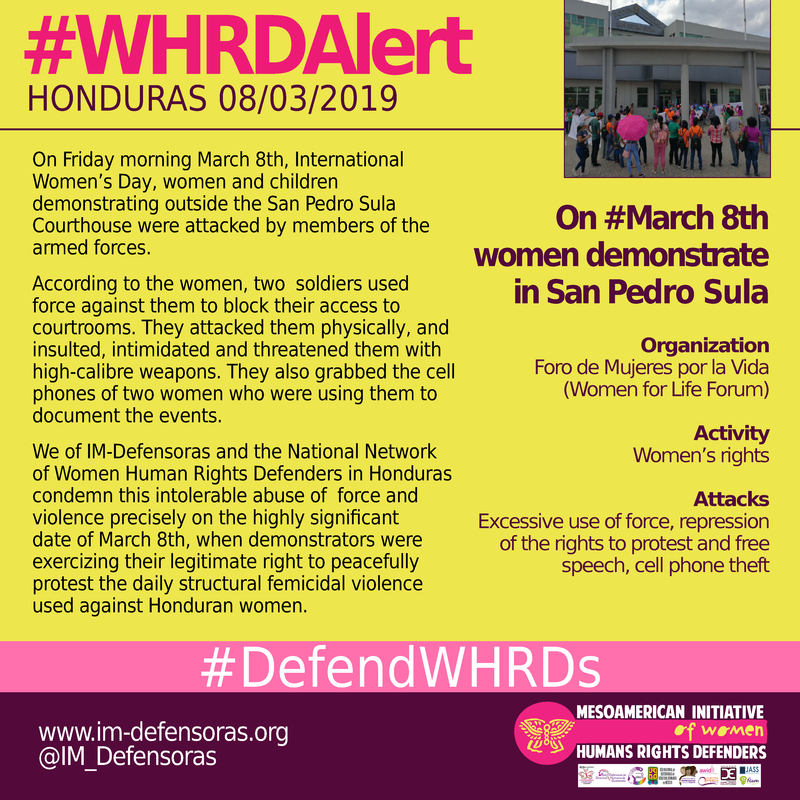 We of IM-Defensoras and the National Network of Women Human Rights Defenders in Honduras condemn this intolerable abuse of force and violence precisely on the highly significant date of March 8th, when demonstrators were exercizing their legitimate right to peacefully protest the daily structural femicidal violence used against Honduran women.